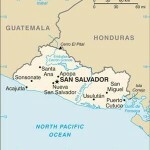 A commission of El Salvador’s national Legislative Assembly has been conducting a wide-ranging consultation of various stakeholders in connection with the proposed ratification of the Nagoya Protocol on Access to Genetic Resources and the Fair and Equitable Sharing of Benefits Arising from their Utilization. The public record created by this consultation illustrates some of the issues at stake–as well as the anxiety caused by uncertainties about the practical effects of the Protocol–for less developed countries considering ratification of the agreement. After introducing the background to the Protocol, this article reviews some of the concerns, statements, and opinions expressed in the Salvadoran consultation. Control of Genetic Resources Prior to the Convention on Biological Diversity. The Nagoya Protocol is a supplementary agreement to the Convention on Biological Diversity (CBD)–a landmark international treaty devoted in significant part to legal and political issues affecting genetic resources. Prior to the CBD, many countries took the position that the diverse genetic resources situated throughout the world were part of the “common heritage of mankind,” and thus could be exploited for commercial purposes without the prior consent of the governments of the nations in which those resources were found, and without sharing the benefits of that exploitation. 1 The international agricultural and medical research establishment viewed the relative ease with which genetic materials could be transferred as positive and essential to scientific progress. However, critics in developing countries pointed out that patent and plant breeders’ rights laws enabled inventors to obtain exclusive rights over innovations relating to plants and other living things without providing compensation to the nations from which the raw materials were obtained. There was also no requirement to compensate indigenous communities whose ancestral knowledge and cultivation practices may have laid the foundation for commercially successful products. Compounding the sense of injustice, members of those communities had to pay the same enhanced prices for the resulting products as everyone else, even though their efforts (and those of their ancestors) made the innovations possible. In the years following the adoption of the CBD, there were many international efforts to fill the gaps in the CBD. The 6th Conference of the Parties to the CBD adopted voluntary guidelines for developing and drafting legislative, administrative, or policy measures on access and benefit-sharing. 9 Other international organizations established frameworks for access and benefit sharing for certain agricultural crops 10 and for human influenza viruses. 11 However, it was not until October 29, 2010, when the 10th Conference of the Parties to the CBD adopted the Nagoya Protocol, that a legally binding, international access and benefit sharing regime generally applicable to all kinds of genetic resources became available for signature. What the Nagoya Protocol Does. A primary purpose of the Nagoya Protocol is to establish “a strong basis for greater legal certainty and transparency for both providers and users of genetic resources.” 12 To this end, the Protocol declares generally that access to genetic resources must be obtained on the basis of prior informed consent (unless the provider country chooses to forego this requirement) and mutually agreed terms, with fair and equitable sharing of benefits, while taking into account the role of traditional knowledge. 13 The agreement also contains specific requirements for signatory states to enact legislation or administrative regulations on a variety of related subjects. For example, countries that choose to require prior informed consent as a condition of access to genetic resources must establish clear, “fair, and non-arbitrary rules and procedures” for obtaining access. 14 The Protocol also directs signatory states, “[i]n accordance with domestic law,” to “take measures … with the aim of ensuring that the prior informed consent or approval and involvement of indigenous and local communities is obtained for access to genetic resources where they have the established right to grant access to such resources.” 15 Article 15 of the Protocol mandates signatory states to designate national focal points and competent national authorities to administer the access and benefit sharing regime. 16 Other provisions impose requirements for member countries to consider creating a global multilateral benefit sharing mechanism for genetic resources, 17 to monitor the utilization of genetic resources in their territory, 18 and to cooperate in capacity building. 19 Most provisions of the Protocol are directed only to the signatory states and do not apply directly to individuals, corporations, or other private actors. Because it is largely non-self-executing, member countries must implement the Protocol through domestic legislation. Pros and Cons. Supporters of the Protocol see it as a means by which nations that are rich in genetic resources but financially less well off than others may share in the economic benefits from commercialization of those resources. Backers of the Protocol also believe that it will stimulate greater investment in developing countries, promote the conservation of genetic resources, and will remove obstacles to the regulated collection and exchange of biological materials in the interest of scientific research. Some critics oppose the Protocol, however, arguing among other things that it encourages a false sense of security for countries rich in genetic resources. The Protocol itself, they observe, provides little direct protection for such resources. For example, although the agreement provides for the protection of the “established rights” of indigenous communities over certain genetic resources, under the domestic laws of most countries, indigenous communities have no such “established rights.” Another oft-repeated concern is that the entry into force of the Nagoya Protocol will lead to massive appropriation by developed country businesses of the genetic resources of underdeveloped countries. According to this criticism, countries such as El Salvador, where domestic regulation of genetic resources is weak-to-nonexistent, are particularly vulnerable. 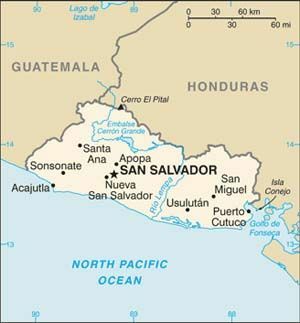 Last week, congressman César García, of the GANA party, opined that the country “is not prepared for this ratification,” and suggested that the Legislative Assembly should enact a law that brings real benefits to El Salvador. 26 He noted that the Nagoya Protocol does not permit either unilateral modifications or reservations to its official text. NGO Responses. On August 27, the commission heard from a representative of the Salvadoran Ecological Union (UNES), who declared UNES’s opposition to ratification of the Protocol. 29 Similarly, Ricardo Navarro, president of CESTA, a Salvadoran affiliate of Friends of the Earth, criticized the Protocol as an incomplete document, negotiated at the last minute after a CBD Conference of the Parties dedicated to climate change. 30 Among other deficiencies, according to Navarro, the Protocol does not clearly establish procedures for resolution of controversies among the signatory states and thus could complicate the solution of commercial disputes. If the Protocol is Ratified. Even if the Salvadoran Legislative Assembly ratifies the Nagoya Protocol in the near future, the international agreement will not enter into force until it has been ratified by 50 nations. As of the date of this writing, 92 countries have signed the protocol, but only five–Gabon, Jordan, Mexico, Rwanda, and Seychelles–have ratified it. 34 Many of the countries that have signed the Protocol, including El Salvador’s Central American neighbor Panama, 35 are also now in a similar pre-ratification posture, and are wrestling with the same concerns and arguments expressed in the Salvadoran Legislative Assembly. by Shawn N. Sullivan, Sept. 18, 2012. 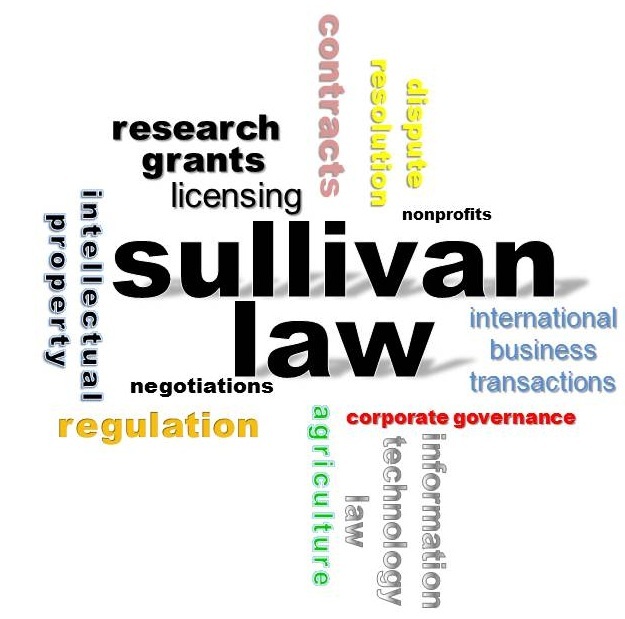 This entry was posted in Agricultural Law, Biotechnology Law, Environmental Law, Intellectual Property Law, Science Policy and tagged access and benefit sharing, biological resources, bioprospecting, CBD, genetic resources, intellectual property. Bookmark the permalink.